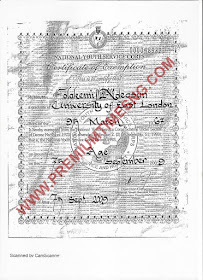 The documents include copies of her curriculum vitae, her high school GCE results, her university degree and post graduate diploma, her purported NYSC exemption certificate, Income Tax Clearance Certificate for Tax Year 2015 and certificates of membership of the Institute of Chartered Accountants of Nigeria and the Institute of Chartered Accountants in England and Wales. Of the documents, the only one that has become controversial so far is the NYSC exemption ‘certificate’, which was purportedly issued on September 7, 2009. This newspaper was able to determine that, based on its enabling law, the NYSC does not issue exemption certificate to anyone who, like the minister, graduates before turning 30. Born on March 9, 1967, Mrs Adeosun graduated July 11, 1989 at 22. 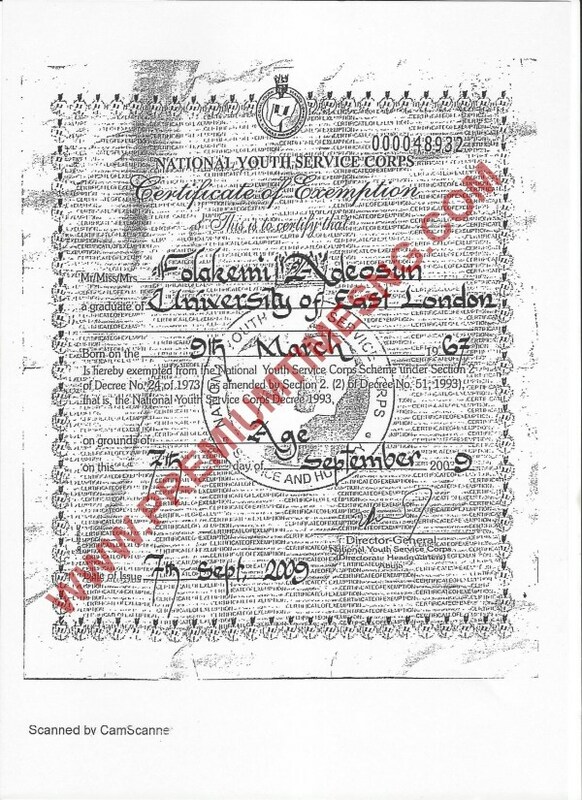 Mrs Adeosun’s ‘certificate’ is dated September 9, 2009, and was purportedly signed by Yusuf Bomoi, a former director-general of the corps. Officials said Mr. Bomoi stepped down from the NYSC in January 2009, and could not have signed any certificate for the corps eight months after. The retired brigadier general passed on in September 2017. 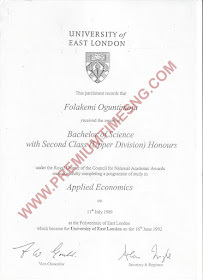 We investigated Mrs Adeosun’s so-called NYSC certificate for months, determining eventually that it is fake. “This one is an Oluwole certificate,” a top official of the corps said after we showed him a copy of the document. “We did not issue it and we could not have issued it.” Oluwole is a location in Nigeria’s commercial capital, Lagos, where fraudsters possess an amazing dexterity in the art of forging all kinds of documents. Several current and former officials of the scheme told this paper that the NYSC would never issue an exemption certificate to anyone who graduated before age 30 and did not fall into the categories of persons exempted by the corps’ enabling Act. 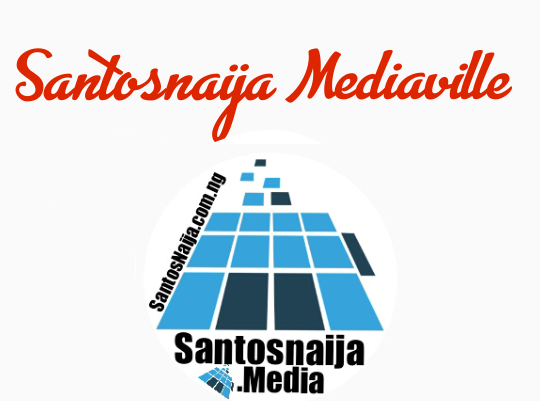 By that law, there are four categories of Nigerians eligible for exemption certificates. The first are those who graduated after turning 30. The second are holders of national honours. The third are persons who served in the armed forces or the police for up to nine months. 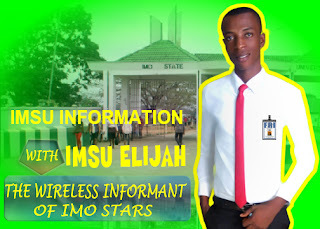 The last category are staff of intelligence agencies, or the armed forces. Therefore, having graduated at 22, and with no record of national honours or service in the intelligence or armed forces, Mrs Adeosun is not qualified for exemption, officials said. Yet, the so-called exemption certificate she holds gave age as the reason for her exemption. “This is not the size of our exemption certificate,” another top official of the corps remarked when shown a copy of the minister’s ‘certificate’. “The calligraphy is also different”. On another day, another staff questioned the genuineness of the ‘certificate’ based on the font of the serial number. 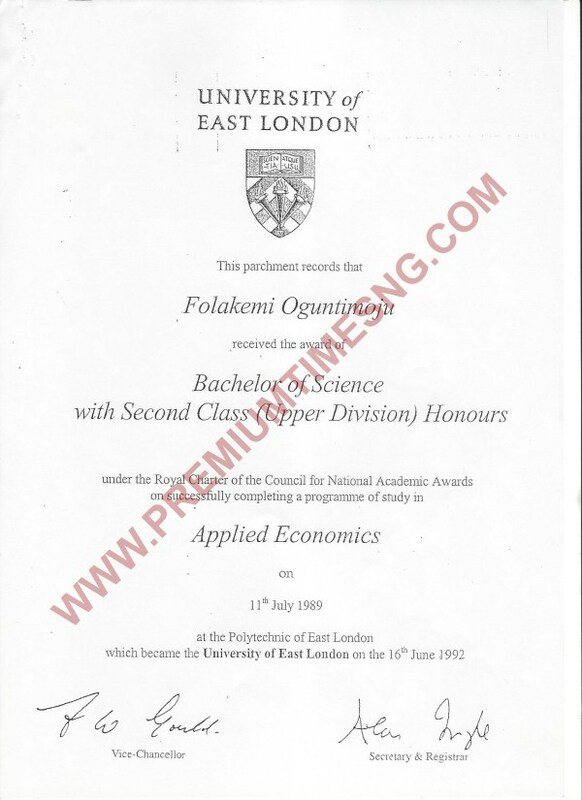 “Look at this, look at this other one, the numbering is different,” the staff said while comparing Mrs Adeosun’s certificate with a genuine one on file. Mrs Adeosun’s name also failed to pop up during multiple checks of the exemption certificates registers kept by the corps, officials said. 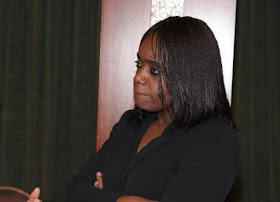 One official, who perused the register recently, noted that the sequence of serial numbers for certificates issued in 2009 did not correspond to that in Mrs Adeosun’s purported certificate. Mrs Adeosun, the NYSC and the presidency are yet to speak on the scandal which is currently the most talked about topic in Nigeria.